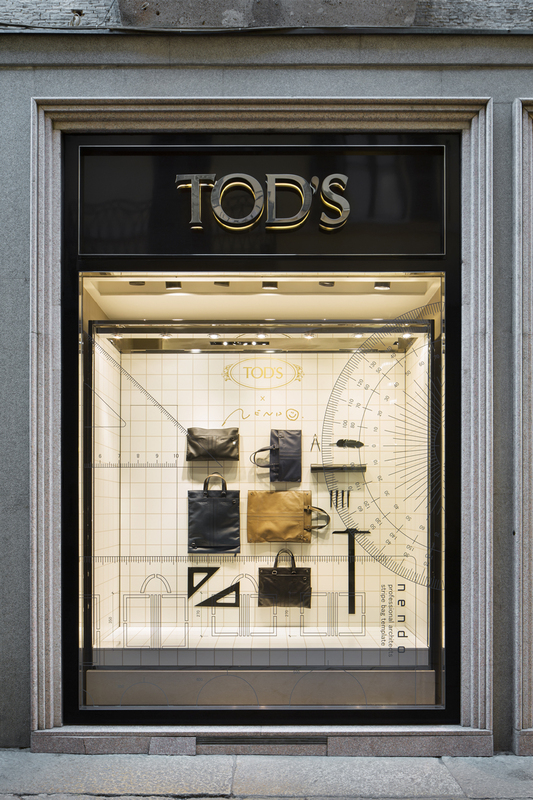 In response to the request by TOD’S, to design a bag with the needs of the architect in mind, we came up with a bag that changes its shape in accordance to what it holds inside. 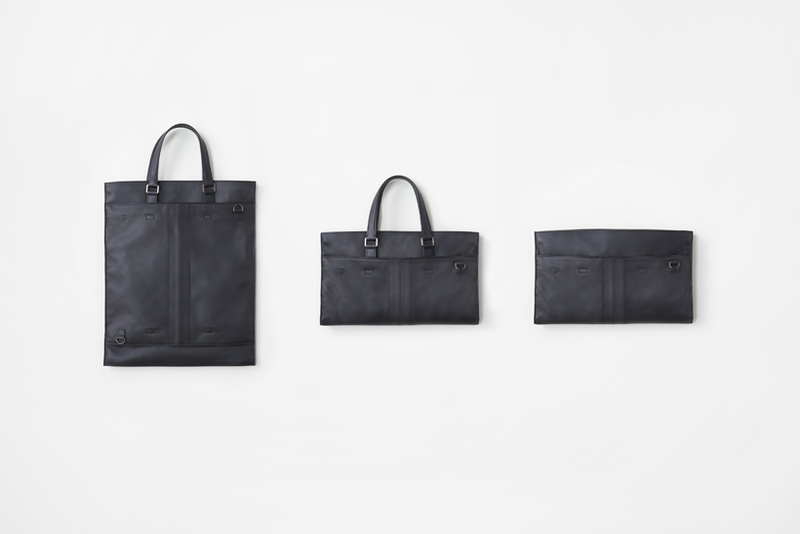 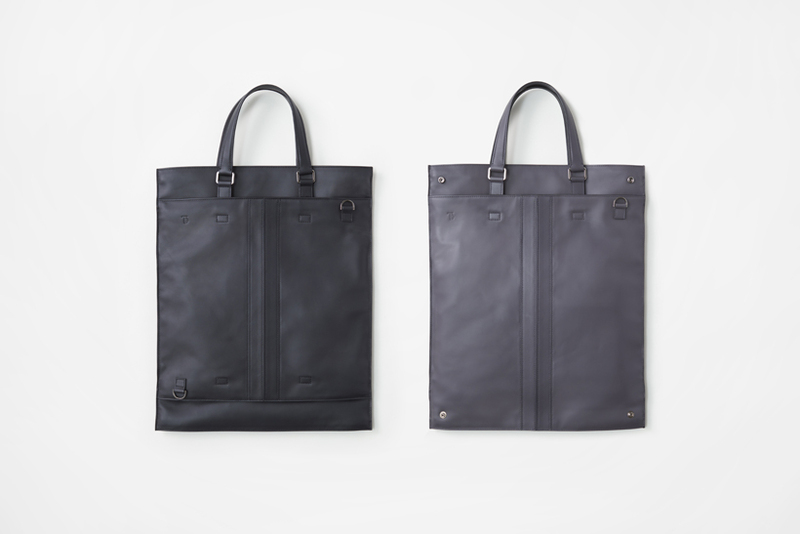 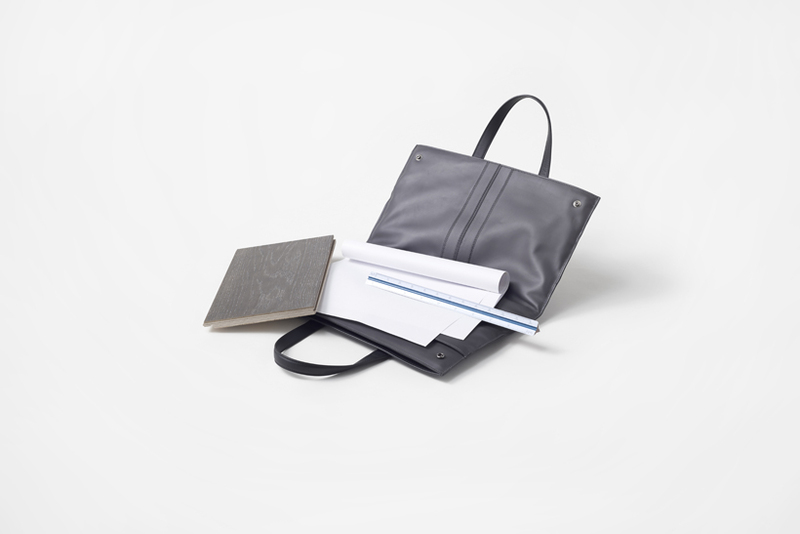 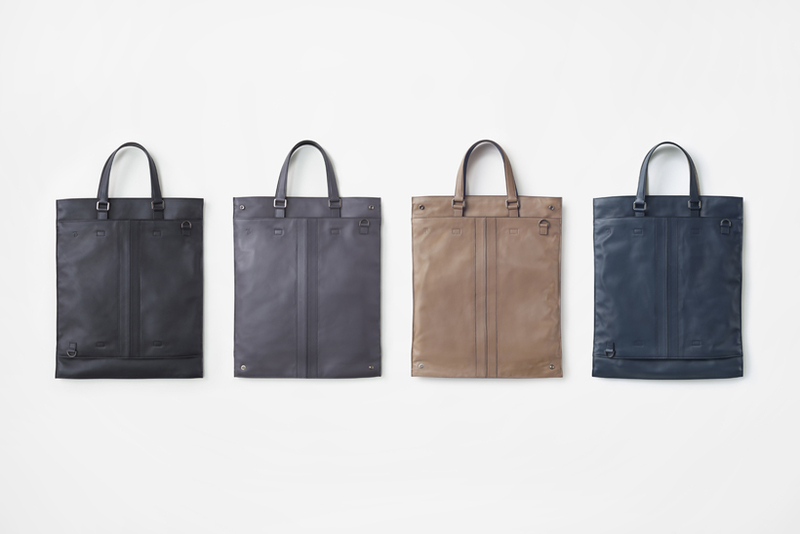 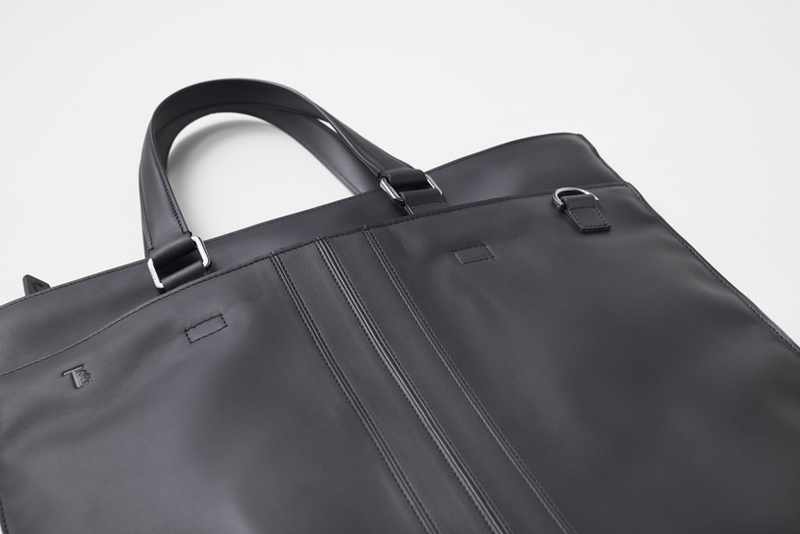 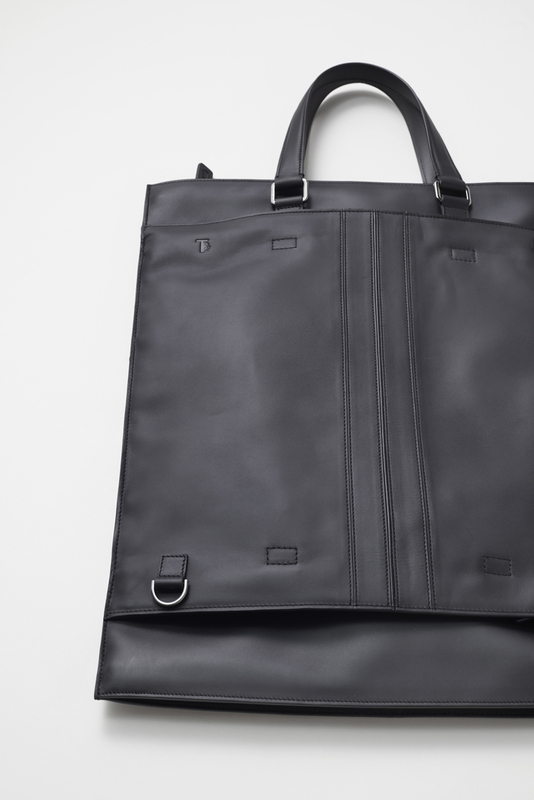 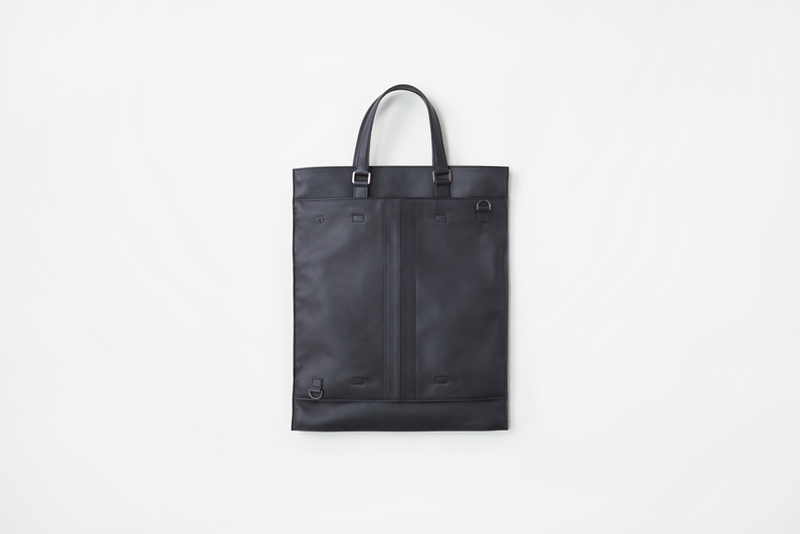 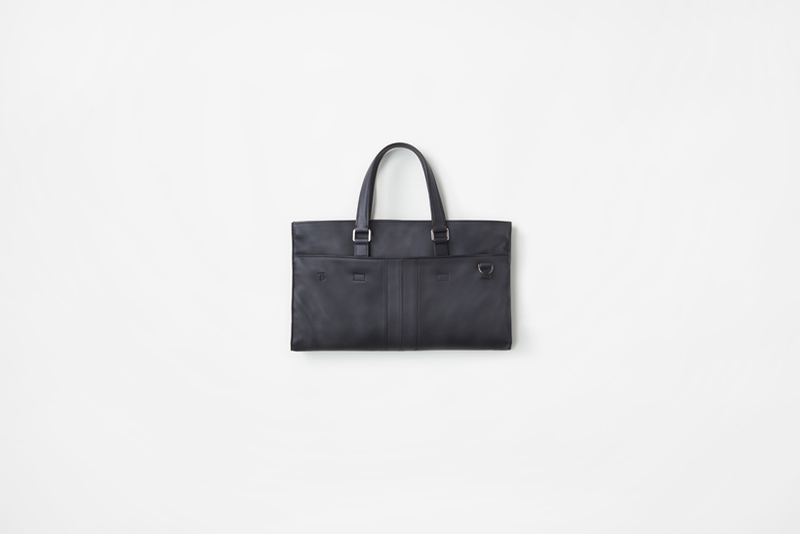 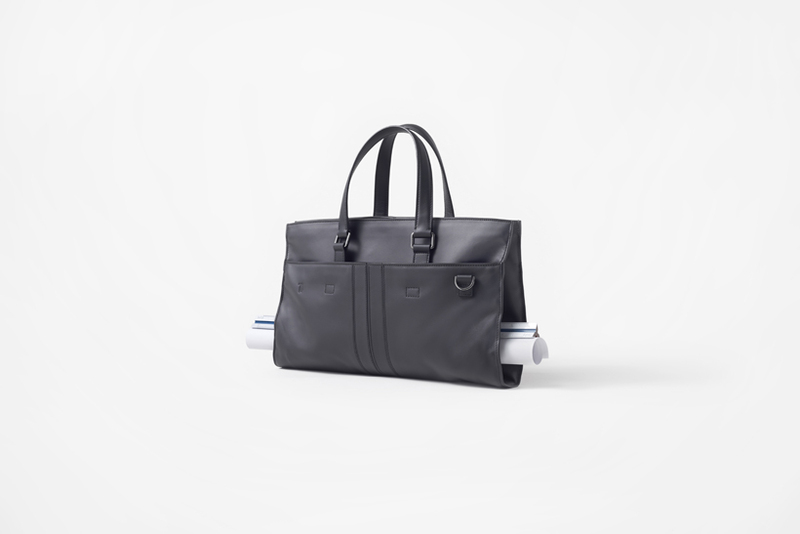 In the extended form, the bag holds a full-size A3 drawing as well as samples with quite a bit of length. 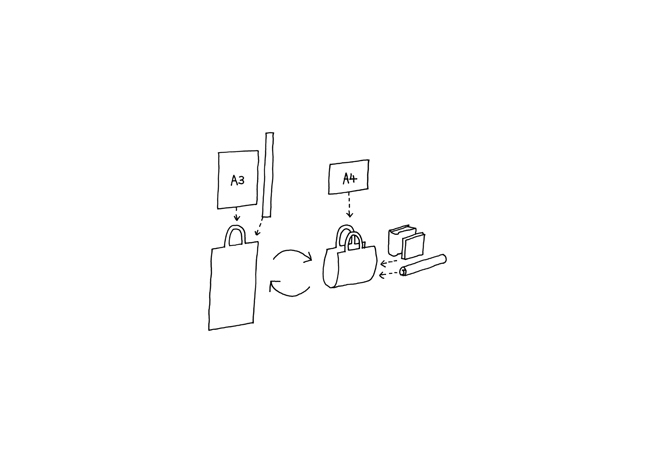 Folding it into half creates two spaces where you can store A4 size drawings and documents, and the middle part of the flex section houses rolled-up drawings, heavy catalogues or books and samples of construction materials. 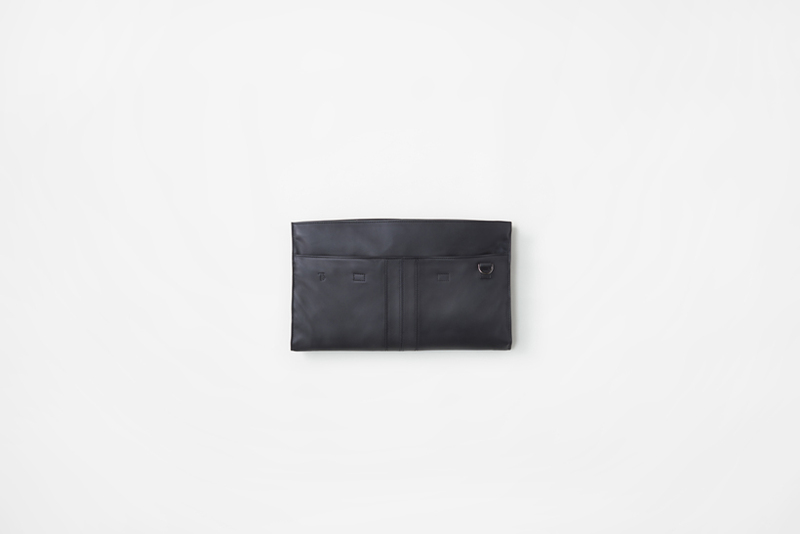 With the ability to store away the two handles, you can turn it into a clutch bag when you have fewer things to carry. 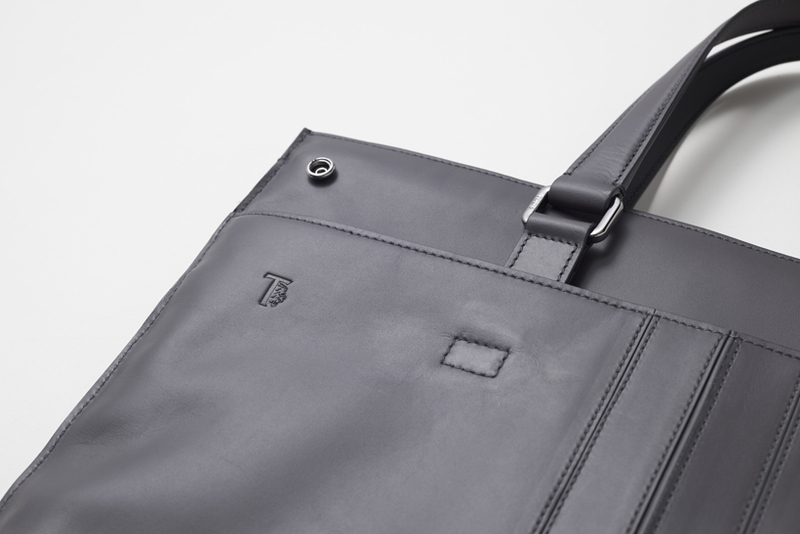 Featured in the front centre of the bag is the brand’s signature “stripe” mark. 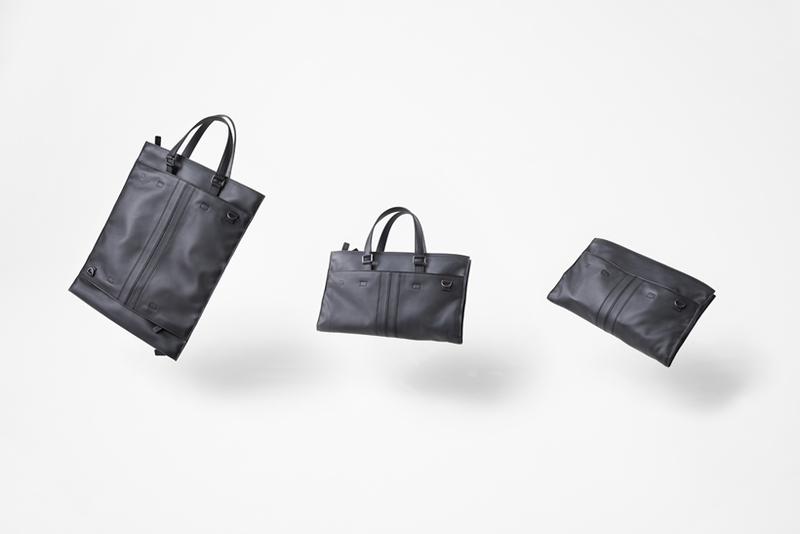 When features that were inspired by the convenience for the architect are introduced to daily life, it may generate an entirely new way to use bags.